Off Aliwal Shoal, South Africa, we were baiting to attract Tiger Sharks. It worked really well as despite a murky water, we saw four big females. 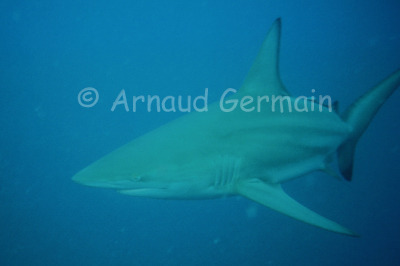 In the water were also about 70 blacktip sharks (carcharinus limbatus). They are medium sized sharks, fast and quite curious. I spent 90 minutes in the water and had some very close encouters with them. I used my Motormarine II camera with a Sea & Sea flashgun.